Patrick Tillman (November 6, 1976 – April 22, 2004) was an American football player (Arizona Cardinals #40) who left his multi-million dollar professional sports career and enlisted in the United States Army in May 2002. Sadly he was killed in action in Afghanistan. 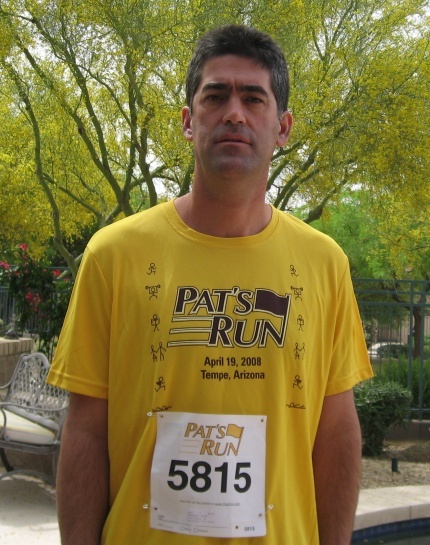 Before playing in the NFL, Pat played for Arizona State University (ASU) wearing #42. To honor his sacrifice for our country, ASU hosts a 4.2-mile walk/run each year. Today my daughter, my wife, and I walked in honor of all the servicemen who fight to protect the freedom we Americans enjoy. Running is alive in the lab.